President & Chief Executive Officer, Teekay Gas Group Ltd.
Mark Kremin was appointed President and CEO of Teekay Gas Group Ltd., a company that provides services to Teekay LNG Partners L.P. and its subsidiaries, in 2017. He was appointed President of Teekay Gas Services in 2015, having acted as its Vice President since 2006. In 2000, Mr. Kremin joined Teekay Corporation as in-house counsel and subsequently held commercial roles within Teekay Gas. He presents Teekay Gas on boards of joint ventures with partners in Asia, Europe and the Middle East. Mr. Kremin has over 20 years’ experience in shipping. Prior to joining Teekay, he was an attorney in an admiralty law firm in Manhattan. Prior to attending law school in New York City, he worked for a leading owner and operator of container ships. Chief Financial Officer, Teekay Gas Group Ltd.
Scott Gayton was appointed Chief Financial Officer of Teekay Gas Group Ltd., a company that provides services to Teekay LNG Partners L.P. and its subsidiaries in June 2018. Mr. Gayton has over 20 years of finance and accounting experience, including most recently serving as CFO of Tanker Investments Ltd. from the time of its initial public offering until its merger with Teekay Tankers Ltd. (NYSE:TNK). Mr. Gayton joined Teekay Corporation in 2001 and has worked in progressively more senior roles in Finance and Accounting. In 2013 he was promoted to Vice President, Finance, where he continues to play an instrumental role in supporting Teekay’s strategy and capital market transactions. Prior to joining Teekay Corporation, he worked as a Chartered Accountant in the Vancouver, Canada office of Ernst & Young LLP. Andres Luna was appointed Vice President of Teekay Gas Services in 2004. Andres Luna has over 35 years of experience in the shipping industry. He joined Teekay in April 2004 as a result of Teekay’s acquisition of Naviera F. Tapias S.A. where he served as Chief Executive Officer. He represents Teekay Gas on the boards of joint ventures with partners in Europe and Asia and as Vice President of the Spanish Association of Ship Owners. Iain Relf was appointed Vice President, LNG Operations in 2015 and has 42 years of experience in the shipping industry. In 2003, he joined Teekay and worked in various technical and operational roles in the Vancouver office before moving to Glasgow in 2012 where he assumed the role of Fleet Director for Teekay Gas. Iain Relf represents Teekay Gas on the boards of joint ventures with partners in Europe, Asia and the Middle East. Before joining Teekay, Iain Relf worked in a variety of shore management roles globally after coming ashore in 1989. Prior to that he sailed with a major chemical tanker operator where he completed his seagoing career as Chief Engineer. Secretary, Teekay GP LLC, the general partner of Teekay LNG Partners L.P.
Edith Robinson was appointed as the Secretary of Teekay GP L.L.C., the general partner of Teekay LNG Partners L.P., in 2014 and was appointed Secretary of Teekay Gas Group Ltd. in 2017. Ms. Robinson joined Teekay Corporation in 2014 and currently serves as an Associate General Counsel. Prior to joining Teekay Corporation, Ms. Robinson served as the General Counsel for a utility group in Bermuda. She has over 20 years of legal experience and is qualified to practice law in Bermuda, Ontario Canada, and England. Ms. Robinson has an MBA from Cornell University in addition to her legal qualifications. Board of Directors of Teekay GP L.L.C., the General Partner of Teekay LNG Partners L.P.
Ida Jane Hinkley serves as Chair of Teekay GP L.L.C. and has served as director since 2005. From 1998 to 2001, she served as Managing Director of Navion Shipping AS, a shipping company at that time affiliated with the Norwegian state-owned oil company Statoil ASA (and subsequently acquired by Teekay Corporation in 2003). From 1980 to 1997, Ms. Hinkley was employed by Gotaas-Larsen Shipping Corporation, an international provider of marine transportation services for crude oil and gas (including LNG), serving as its Chief Financial Officer from 1988 to 1992 and its Managing Director from 1993 to 1997. She currently serves as a non-executive director on the Board of Premier Oil plc, a London Stock Exchange listed oil exploration and production company and as a non-executive director of Vesuvius plc, a London Stock Exchange listed engineering company. From 2007 to 2008 she served as a non-executive director on the Board of Revus Energy ASA, a Norwegian listed oil company. Executive Officer of Navios Corporation, a large bulk shipping company based in Stamford, Connecticut. Prior to this, Mr. Day held a number of senior management positions in the shipping and finance industry. He is currently serving as a director of Kirby Corporation and Chairman of Compass Diversified Holdings. Mr. Day is engaged as a consultant to Kattegat Limited, the parent company of Teekay’s largest shareholder, to oversee its investments, including that in the Teekay group of companies. Kenneth Hvid was appointed director of Teekay GP L.L.C. on September 10, 2018. Kenneth Hvid was appointed President and CEO of Teekay Corporation in 2017 and has served as a director of Teekay Offshore GP L.L.C. since 2011 and director of Teekay Tankers Ltd since 2017. He joined Teekay Corporation in 2000 and was responsible for leading its global procurement activities until he was promoted in 2004 to Senior Vice President, Teekay Gas Services. During that time, Mr. Hvid was involved in leading Teekay Corporation through its entry and growth in the liquefied natural gas business. He held that position until the beginning of 2006, when he was appointed President of the Teekay Navion Shuttle Tankers and Offshore division. In that role, he was responsible for Teekay Corporation’s global shuttle tanker business as well as initiatives in the floating, storage and offtake business and related offshore activities. Mr. Hvid served as Teekay Corporation’s Chief Strategy Officer and Executive Vice President from 2011 to 2015, as a director of Teekay GP L.L.C. from 2011 to 2015 and as President and CEO of Teekay Offshore Group Ltd., from 2015 to 2016. Mr. Hvid has 30 years of global shipping experience, 12 of which were spent with A.P. Moller in Copenhagen, San Francisco and Hong Kong. In 2007, Mr. Hvid joined the board of Gard P. & I. (Bermuda) Ltd.
Joseph E. McKechnie joined the board of Teekay GP L.L.C. in 2013. Mr. McKechnie is a retired United States Coast Guard Officer, having served for more than 23 years, many of which focused on marine safety and security with an emphasis on LNG. In 2000 he joined Tractebel LNG North America (formerly Cabot LNG) in Boston, Massachusetts as the Vice President of Shipping, where he oversaw the LNG shipping operations for the Port of Boston. 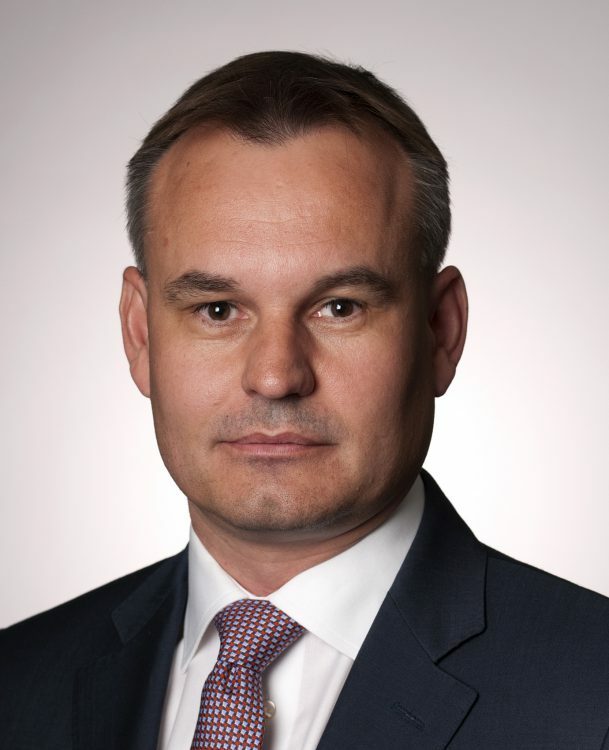 From 2006 to 2011, Mr. McKechnie was transferred to London and then Paris to continue his work with SUEZ, (the parent company of Tractebel) and ultimately GDF-SUEZ, as the Senior Vice President of Shipping, and Deputy Head of the Shipping Department. He is a former member of the board of directors of Society of International Gas Tankers and Terminal Operators, and Gaz-Ocean, the GDF-SUEZ Owned LNG vessel operating company. In 2011, he left GDF-SUEZ following the successful merger of GDF and SUEZ, and ultimately formed J.E. McKechnie L.L.C. in 2011. Beverlee F. Park joined the Board of Teekay GP L.L.C. in 2014. From 2000 to 2013, Ms. Park served as COO, Interim CEO, and EVP/CFO at TimberWest, the largest private forest land owner in Western Canada. During this time, Ms. Park also served as President and COO, Couverdon Real Estate, a division of TimberWest. From 2003 to 2010, Ms. Park served as Board Member, Audit Committee Chair of BC Transmission Corp., the entity responsible for the operation and maintenance of 18,000 km of electrical transmission in British Columbia and 300 substations. Previously, Ms. Park was employed by BC Hydro, British Columbia’s electricity, transmission and distribution utility company, in a range of senior financial roles and by KPMG. Ms. Park is currently a Board member of TransAlta Corporation, serving as a member of the Audit and Risk Committee and the Human Resources Committee, InTransit BC and of Silver Standard Resources Inc., serving as a member of the company’s Audit Committee and Safety and Sustainability Committee. She was appointed to the University of British Columbia’s Board of Governors in 2016. Bill Utt was appointed director of Teekay GP L.L.C. on September 10, 2018. Mr. Utt has served as a Teekay Corporation director since 2015 and was appointed Chairman in June 2017. He was also appointed Chairman and director of Teekay Offshore GP L.L.C., the general partner of Teekay Offshore Partners L.P. in June 2017. Mr. Utt brings over 31 years of engineering and energy industry experience to the Teekay Board. From 2006 until his retirement in 2014, he served as Chairman, President and Chief Executive Officer of KBR Inc., a global engineering, construction and services company. From 1995 to 2006, Mr. Utt served as the President and CEO of SUEZ Energy North America and President and CEO of Tractebel’s North American energy businesses. Prior to 1995, he held senior management positions with CRSS, Inc., which was a developer and operator of independent power and industrial energy facilities prior to its merger with Tractebel in 1995. Mr. Utt also currently serves as a member of the Board of Directors for Brand Industrial Holdings Inc., a Clayton, Dubilier & Rice, LLC portfolio company.